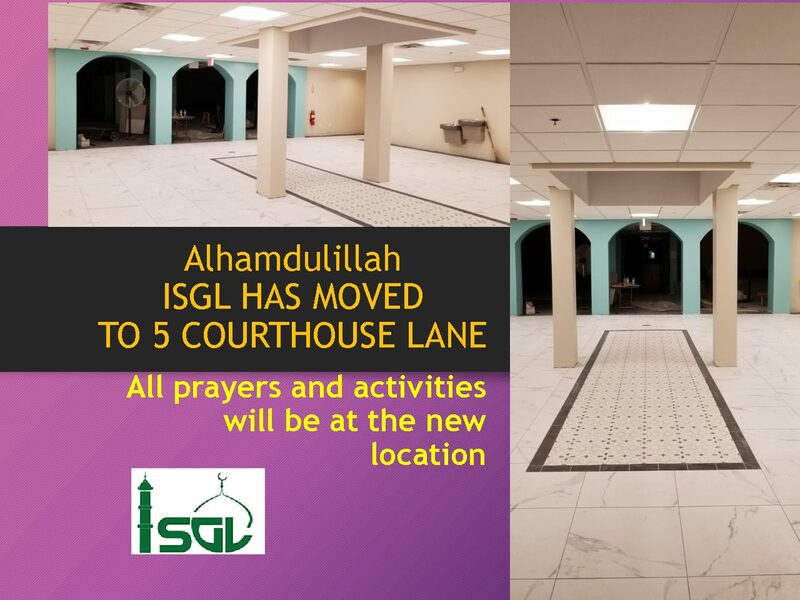 Alhamdulillah, ISGL has moved to our new home at 5 Courthouse Lane. The ISGL Board of Directors thanks all the volunteers and our entire community for the support in making this transition happen. ISGL Board of Directors would like to thank all community brothers, sisters youth for participating in the ISGL MOVE to the new facility. Alhamdulillah, there was outstanding community participation.